Forex options trading is an appealing alternative to regular forex trading because of its limited risk together with its ability to magnify returns by utilizing leverage. Nevertheless, it comes with all the usual peculiarities associated with options trading, such as time decay, exercise price, implied volatility and expiration dates. Regular forex trading is a highly leveraged way of trading foreign currencies, with ratios per unit of investment ranging from 100:1 up to 400:1. With this kind of leverage, a strong move against you can realize a loss that is greater than your initial investment. For this reason, a trading plan using your regular forex broker must include a money management plan that either includes set stop losses, or enough capital to absorb moves against you so that you can use an averaging system until such time as the price retraces enough to become profitable. Not so with forex options trading. In this section of our site, we will consider all the various facets of forex options trading, such as where you can find suitable brokers, foreign currency options trading systems, currency futures options and forex binary options. We will also consider how you can apply some regular option trading strategies to the currency markets – strategies such as range trading techniques and using short term straddle positions or victory spreads during releases of economic news. So let’s begin here . . .
Here’s a few of our favourite Forex Options Brokers. They offer more than traditional forex brokers because they include options on forex pairs in addition to trading to the spot market. World currency options form the largest and most liquid financial market in the world. Trouble is, most of the trading is not done through exchanges where all can participate. 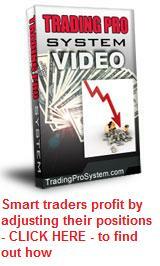 The best currency option trading system is one that will suit your own particular style of trading. So which system is best and where can you trade it? The net benefit of currency futures options as opposed to currency futures contracts is greater security in return for less profitability due to the payment of the option price. Foreign currency options trading comes in three forms – vanilla options, futures options and binary options. The best strategies for each of these is different. Forex online option trading can easily be done these days. There are a few different alternatives for trading foreign currency options and all of them can be done online.